If you’re involved in marketing and selling then it’s highly likely that you’ve run Facebook ads in the past. And why not? It’s an incredibly effective way of reaching your target audience, whatever your target audience is. After all the platform attracts 1.5 billion users every day, so surely some of those must be interested in your products and services? However, clients often tell me that their Facebook ads are failing. They’re not getting the results they expected and feel that they are pouring money down the drain. Want to hear an incredibly obvious statement? (I’ll assume you said yes). Well, Facebook holds a lot of data. And this is data that you can use to your advantage. But only if you know your customer. Now I won’t go into a huge amount of detail about customer personas and market research here (I’ll save that for a future blog), but it’s good marketing practice to build up an almost flesh and blood picture of your target audience. This enables you to hone any marketing activity, whether that’s blog content or Facebook ads. Who do your customers follow online? Where do your customers go for information, both digitally and physically? Where do your customers spend their money? What shops do they spend it in? What brands do they spend it on? What products do they spend it on? The more strategically and laterally you can think, the better. The reason behind this is that Facebook has multiple targeting options based on “interests” and “behaviours”. 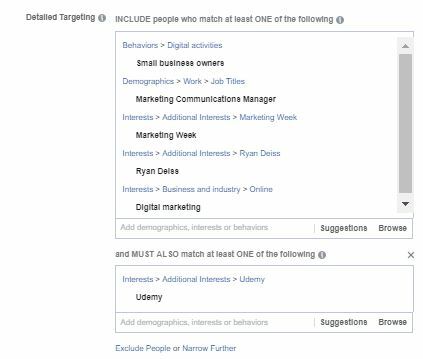 And if a brand or organisation has a Facebook page, this will often show up a Facebook targeting option (however this is arbitrary – some Facebook pages show up, some don’t!). We set up Facebook ads for a company that sold luxury experiences to ultra High Net Worth Individuals (HNWIs). These experiences range from private viewings of the Sistine Chapel to the exclusive use of a private Caribbean island for the weekend. The challenge was to reach an audience that could afford these experiences. However in the UK, Facebook doesn’t allow you to target audiences based on income. What was our reasoning behind this? Well, we avoided luxury car brands for targeting, as these tend to be aspirational. Facebook users will follow Lamborghini’s page, for example as they have an interest in them, but are not able to afford them. However, users following a luxury car dealership (which has a much smaller following than Lamborghini) are more likely to follow them because they have bought from them in the past or intend to buy from them in the future. Likewise, someone is only likely to follow a page related to Swiss private schools if they are considering or already sending their child there – which you’ll need a sizeable income to afford! Niche publications are generally subscription based, and not available on the newsstand. So Facebook pages dedicated to them are likely to have a highly targeted following. As mentioned, not every organisation or publication has a Facebook page and even those that do may not show up. However, this exercise will get you thinking about what targeting options you are using to target your ideal customer. 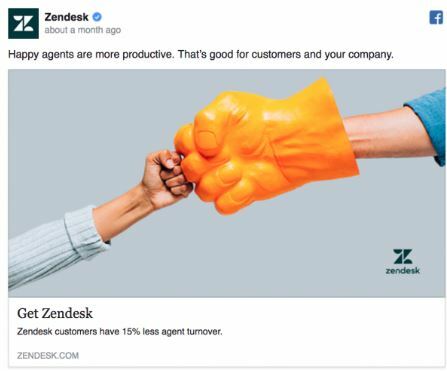 Another reason why your Facebook ads are failing is either because your target audience isn’t noticing the ad or it isn’t working hard enough to grab their attention. 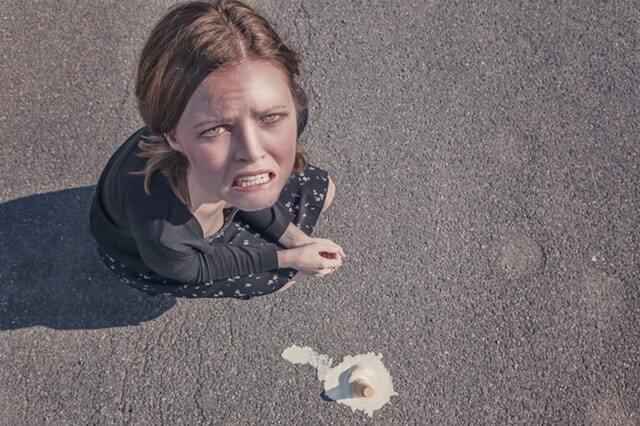 The first step to creating a successful ad is using an image that is going to grab your audience attention. You want them to stop scrolling through the feed and look at your ad. You therefore need to choose an image that stands out from the background of Facebook, with vivid images and bright colouring. Once you have stopped them scrolling through then your copy (the written part of the ad) needs to ensure they stay to read it. You can grab a user’s attention with an image but it’s the copy that ensures your customer clicks through to your website or takes the action you want them to. Rather than the ad stating that you are selling the product, the focus should be on the customer’s “pain points” and telling them how the product can benefit them, removing this pain. What is the problem your target audience has? How does your product/service/organisation solve that problem? What will happen if they don’t take action? “Want to get the most out of your facebook ads budget and reach the customers that are most likely to use your business? The Facebook pixel is one of the most powerful weapons in your digital marketing arsenal. It’s a piece of code that you can generate through your Facebook ad account to include on your website. The FB pixel will monitor who has visited your website and what actions they have taken (the pages they have visited, whether they abandoned their cart. You can then either retarget these visitors (which I’ll talk about in more detail below) or create a lookalike audience based on these visitors. For example, if you owned a specialist bike shop, aimed at competitive cyclists and triathletes, the majority of your web visitors are likely to be (wait for it) competitive cyclists and triathletes. Facebook will then target FB users who display the same types of interests with a “Lookalike Audience”. How is this different to setting your own targeting? Well, you might have targeted people that have an interest in cycling and triathlon. But you might want to target athletes that are prepared to spend £2500 on a bike rather than £500. However, if the majority of people visiting your website are those that are likely to buy a high end bike, then you can use the pixel to tell Facebook to find other users that match this profile by using the custom audience targeting option. To find out how to implement the Facebook pixel I’d recommend checking out this superb guide from Hootsuite. Even if you’ve got your targeting bang on and written the most compelling ad copy this side of Mad Men, I’m afraid it doesn’t guarantee a rush of sales or leads. And this all comes back to good old fashioned marketing theory. 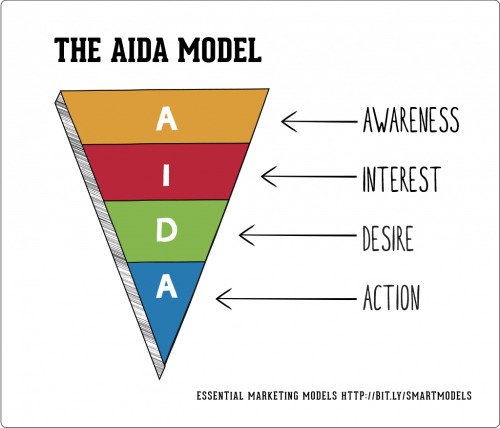 As most marketers are aware customers move through the process of Awareness, Interest, Desire and Action when making a purchasing decision. For many businesses a Facebook Ad will be the first the prospective customer has heard of the organisation – bringing them to the awareness stage. So whether you are trying to sell a product or capture an email address you still have a bit of work to do to move them further along the sales funnel. However once the company is aware of you, by retargeting with further Facebook Ads you can move them further along the customer decision journey. Essentially you are turning what was a cold lead into a warmer one. And by using the data collected by the Facebook pixel you can hone your messaging, for example a specific ad for users that visited a specific product or service page. Facebook Ads enable you to target very specific customers with very specific messaging. However, it’s naïve to think that every view or click on a Facebook ad will result in a sale. You need to take a strategic, long-term approach that will help you build a relationship with your target audience and result in sales over the long term. If you would like to speak to deepsocial about how Facebook advertising can benefit your business, then please get in touch.